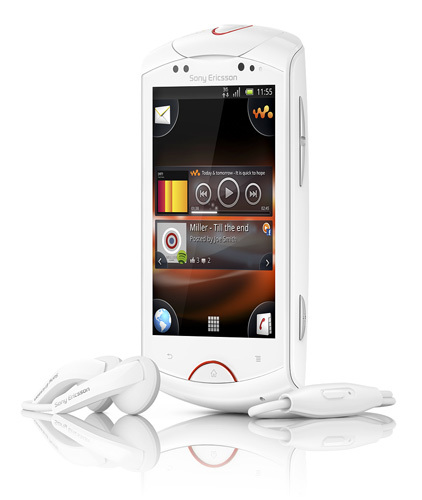 Review Sony Ericsson is still producing standalone Walkman devices, but the natural home for the oldest portable music player brand these days is on a phone. 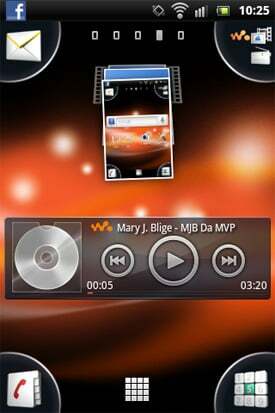 The Live With Walkman delivers the latest version of the music player in an Android phone with a 5Mp camera and a nippy 1GHz processor. 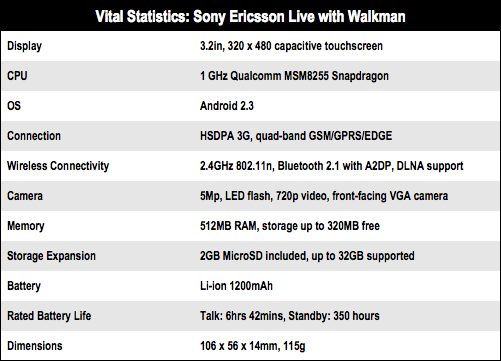 The awkwardly named Live with Walkman is a neat handful, though at 106 x 56 x 14mm it’s not particularly slim. The 3.2in screen offers so-so 480 x 320-pixel resolution, which is perfectly fine for web browsing, as well as viewing pictures and documents, but not in the top tier for movie watching. 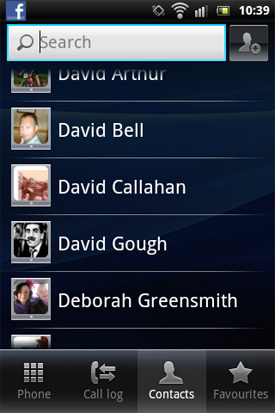 It’s running Android 2.3.4 Gingerbread, so it features potentially useful extras like support for video calling and NFC (Near Field Communication) so you’ll be able to make payments from your mobile if and when the system takes off. Sony Ericsson has also integrated its LiveDock system into Gingerbread, which allows you to turn your phone into a mini PC by adding USB peripherals such as a mouse, keyboard or gamepad. 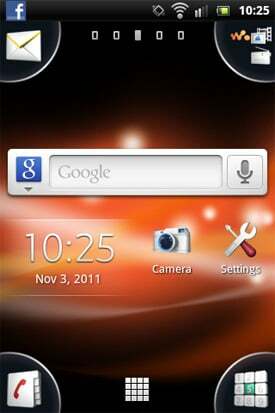 It’s a nice idea, but finds a more natural home on SE phones with bigger screens, such as the Xperia Arc S.
As usual, it has Sony Ericsson’s take on the standard Android graphics and widgets – that you can spread across its five screens – including the clever way it crams permanent shortcuts for phone, contacts, messaging and media into the corners of the smallish screen. The 1GHz processor is backed by 512MB of RAM and it’s a nippy little device with little, if any, stumbling between apps and pacy page rendering from the browser. 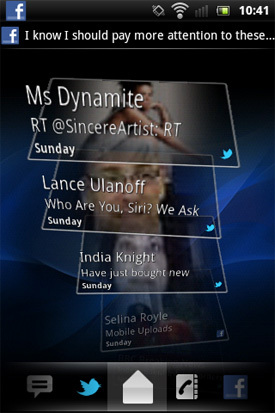 The performance of the SE Live with Walkman is borne out by its AnTuTu benchmark score of 2924, which has it on a par with the HTC Desire HD.